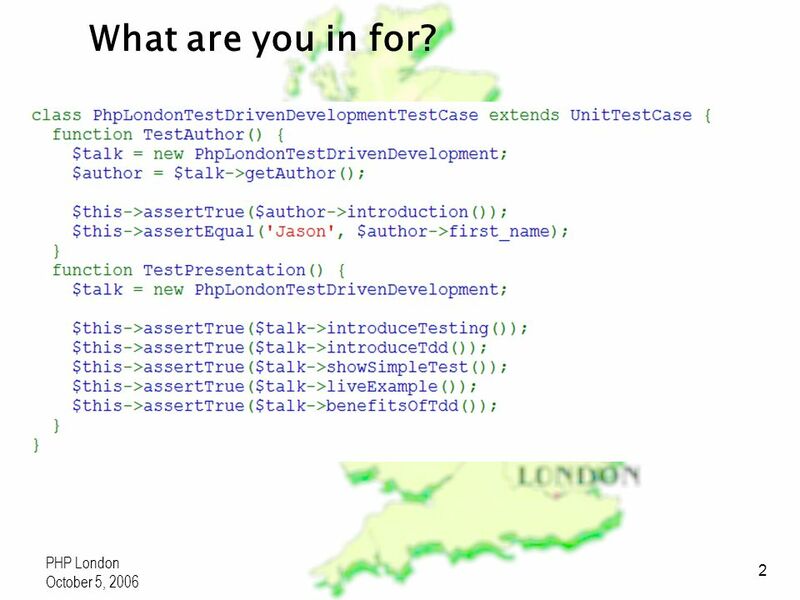 2 PHP London October 5, 2006 2 What are you in for? 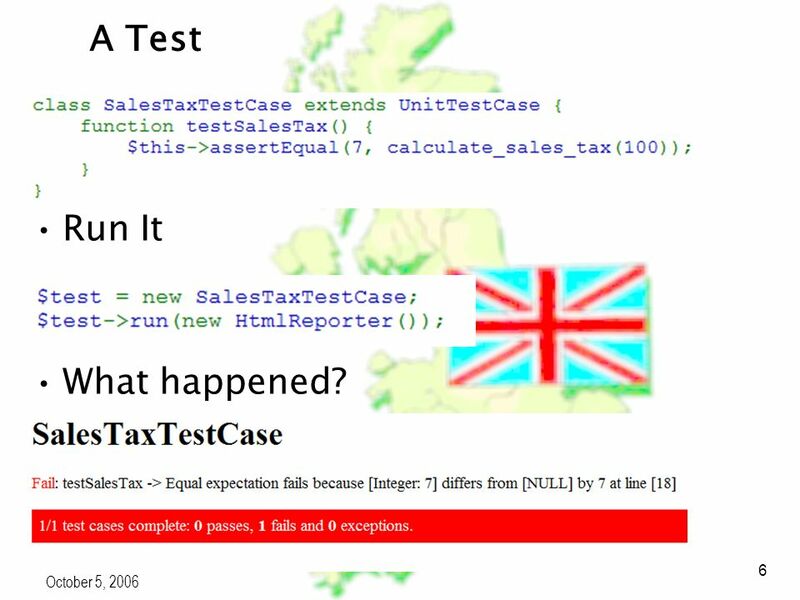 6 PHP London October 5, 2006 6 A Test Run It What happened? 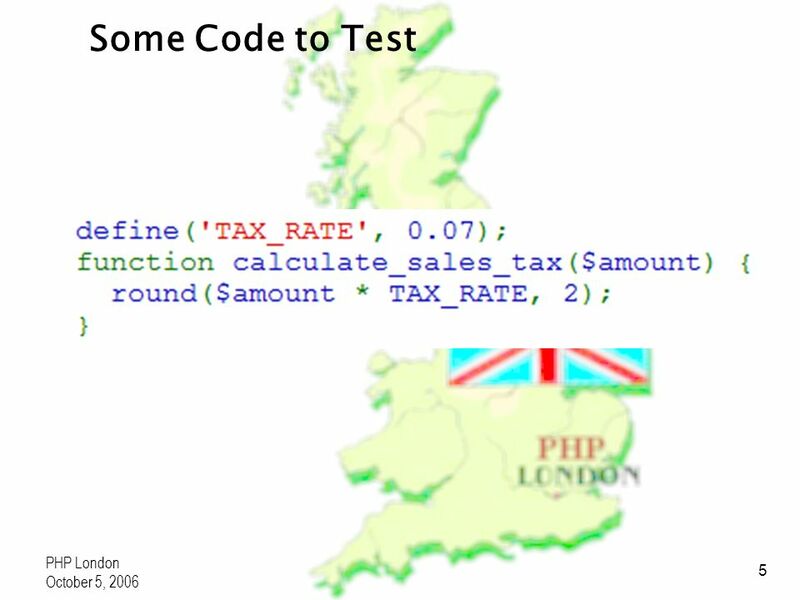 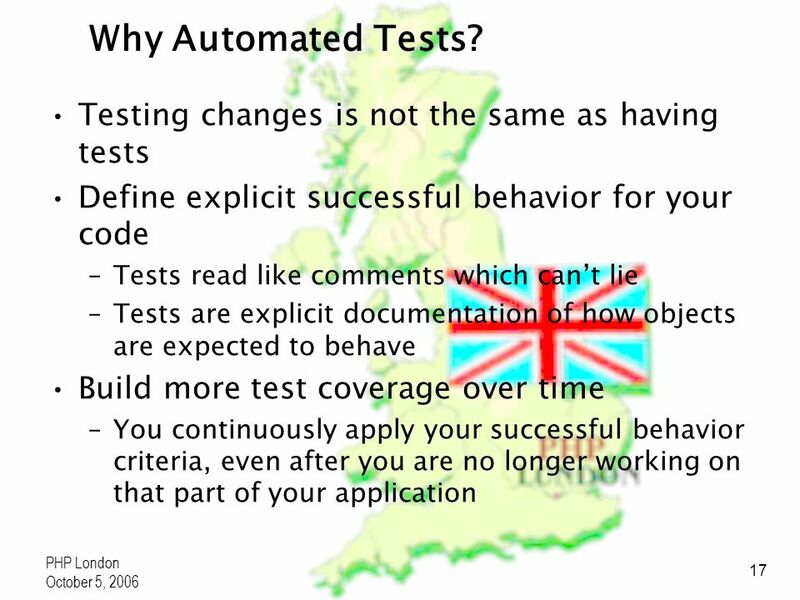 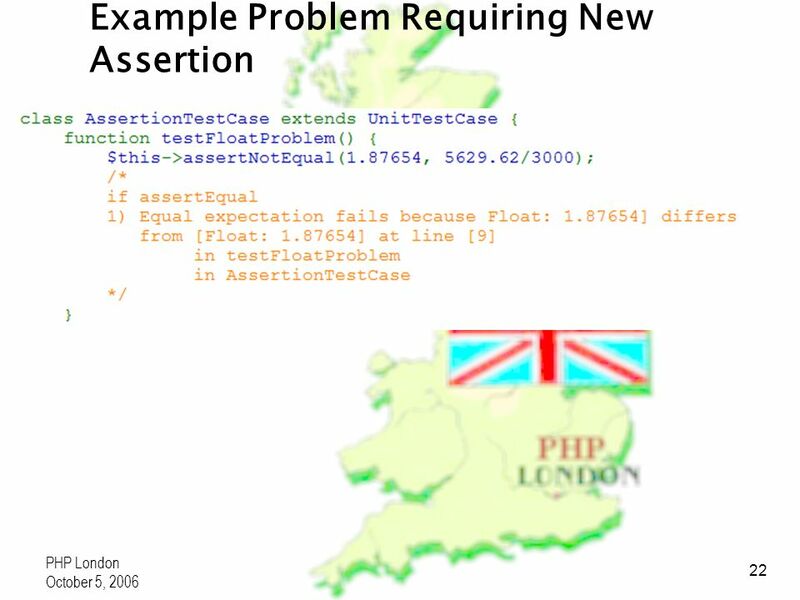 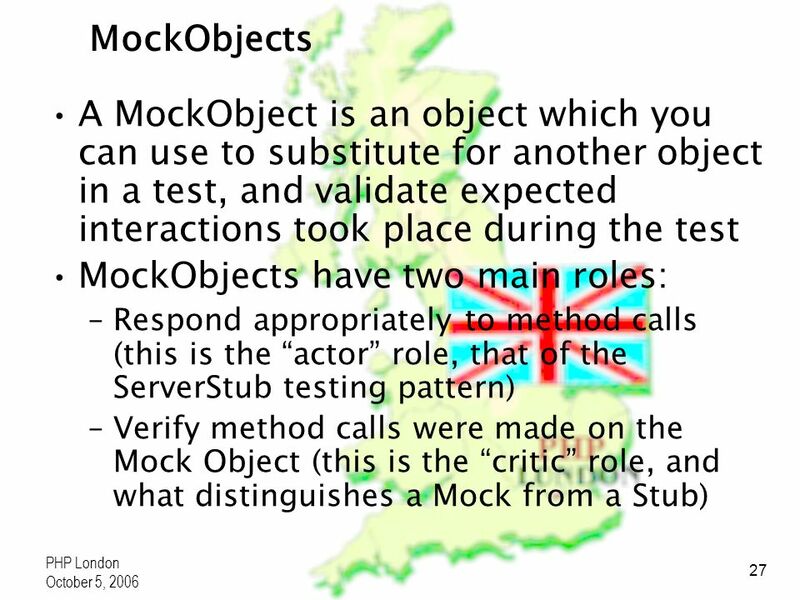 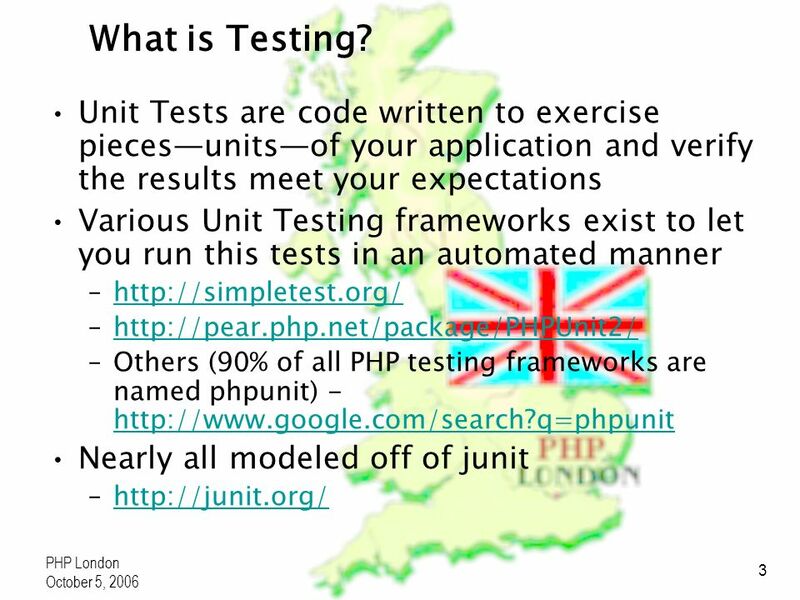 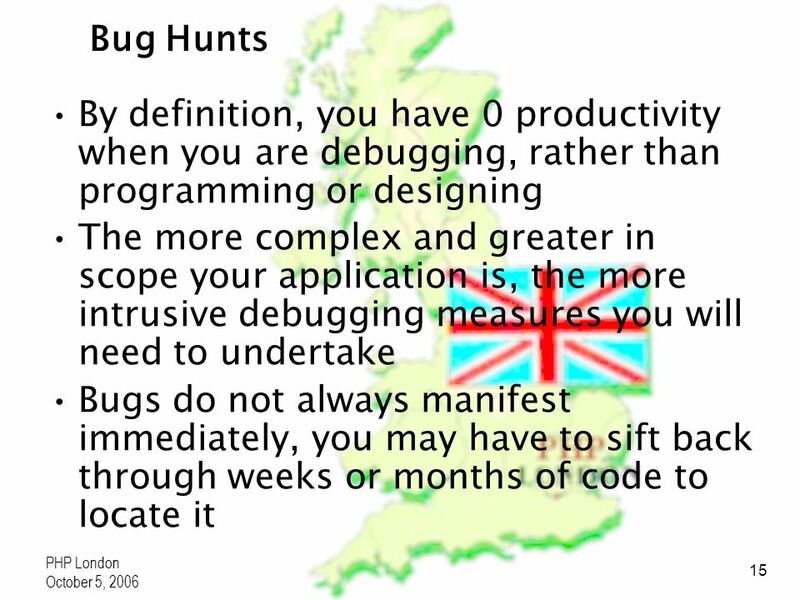 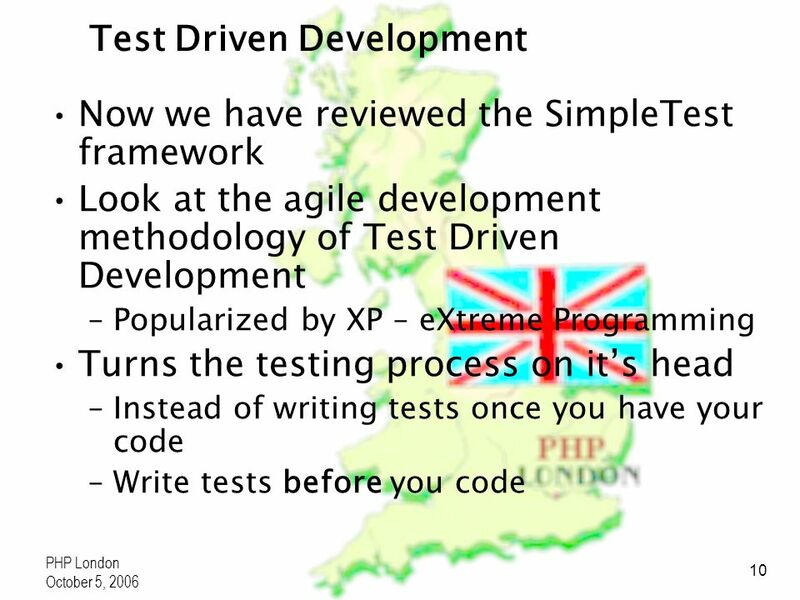 13 PHP London October 5, 2006 13 Why Test? 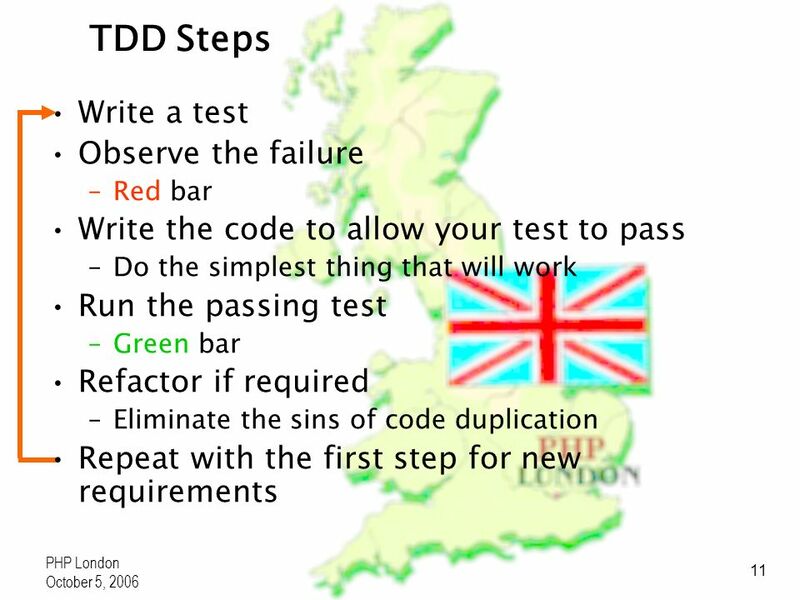 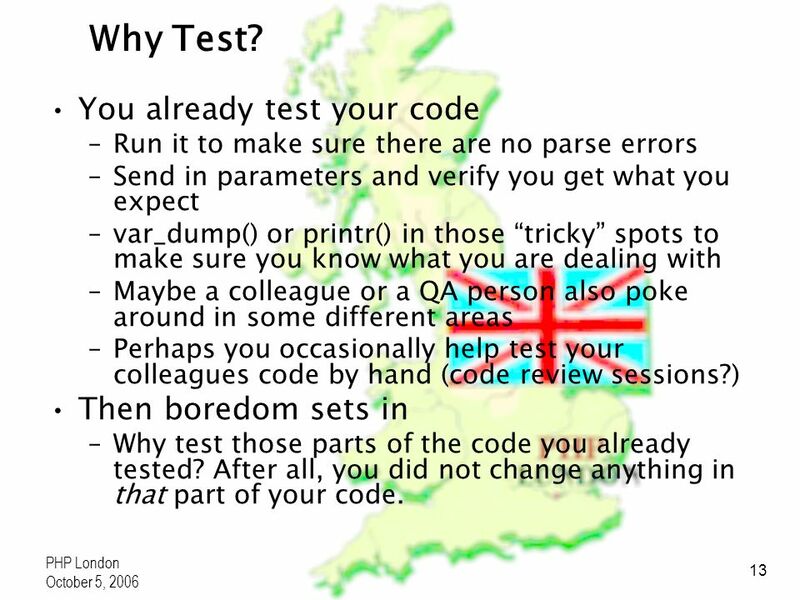 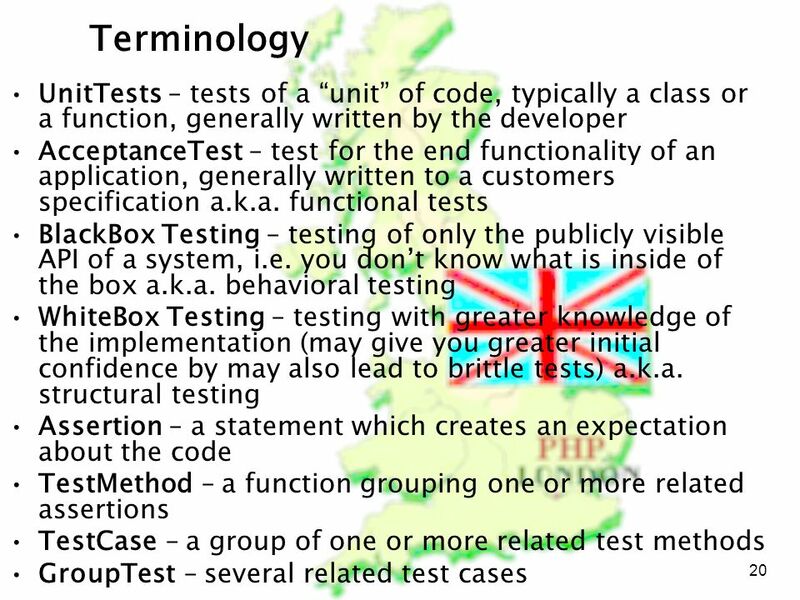 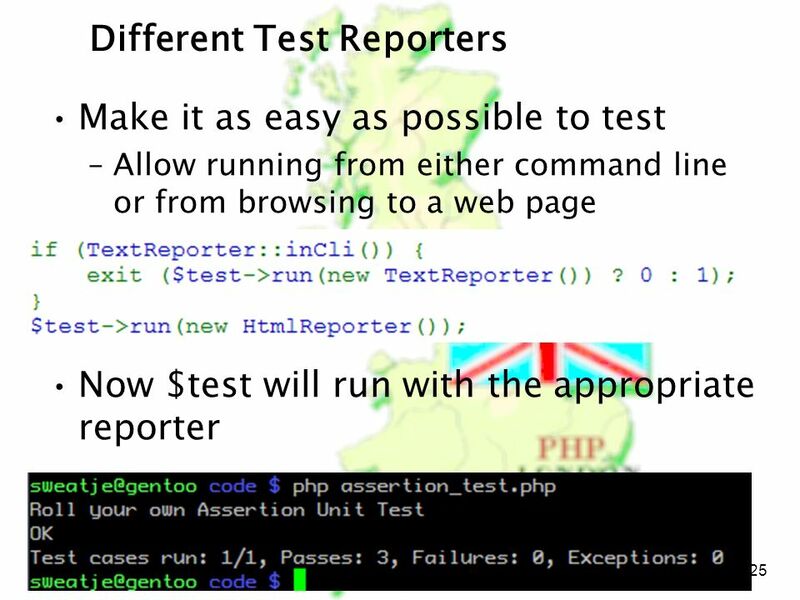 You already test your code –Run it to make sure there are no parse errors –Send in parameters and verify you get what you expect –var_dump() or printr() in those tricky spots to make sure you know what you are dealing with –Maybe a colleague or a QA person also poke around in some different areas –Perhaps you occasionally help test your colleagues code by hand (code review sessions?) 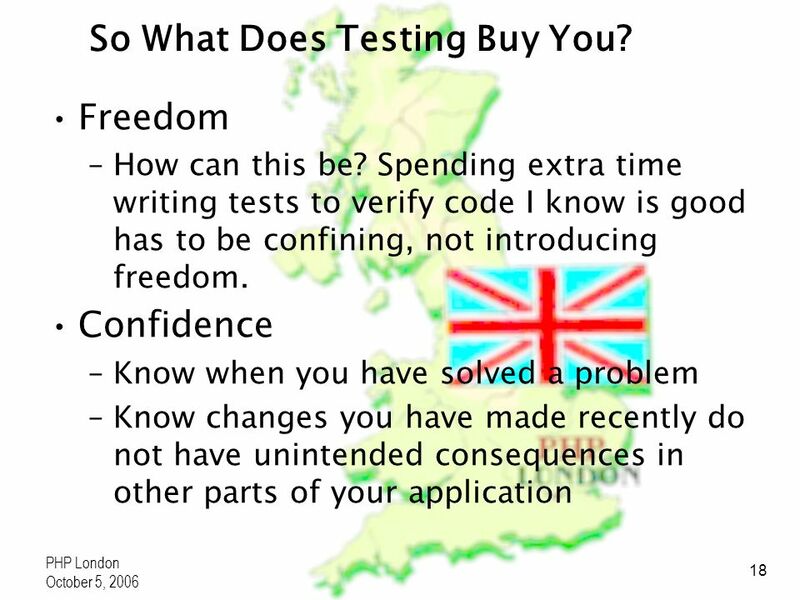 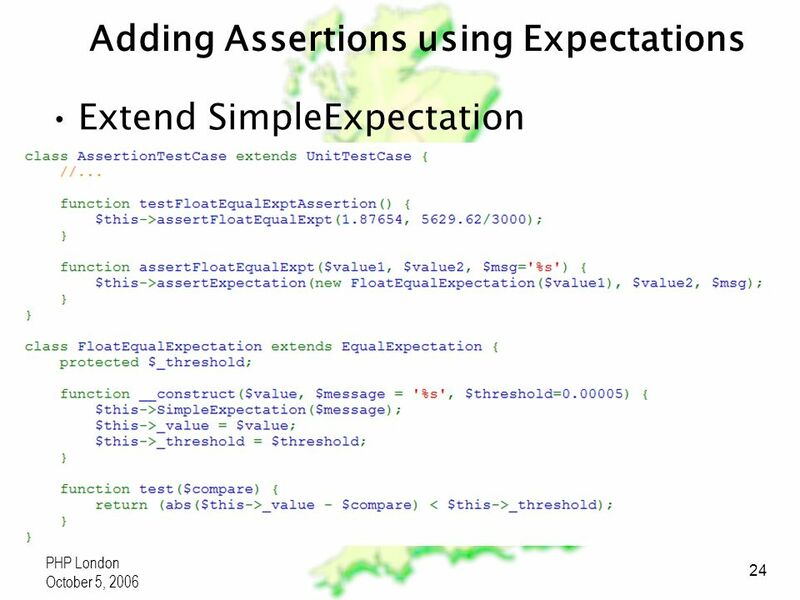 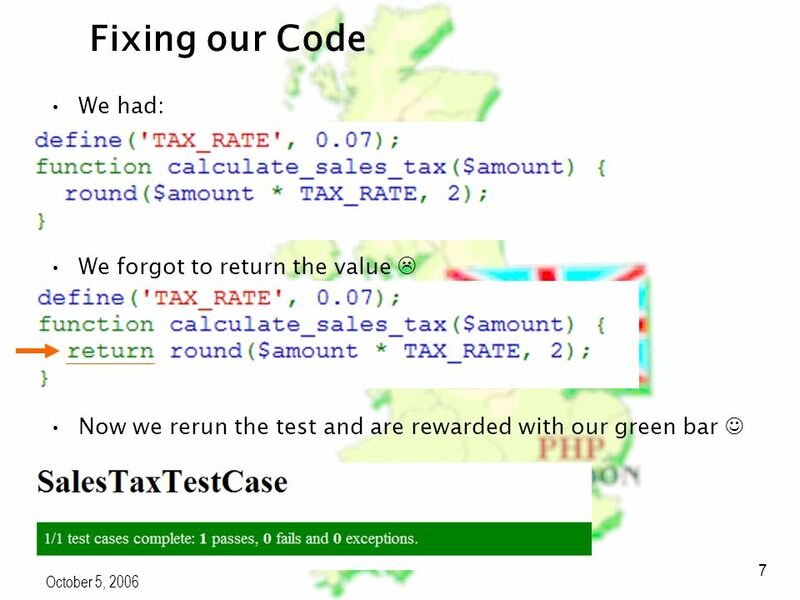 Then boredom sets in –Why test those parts of the code you already tested? 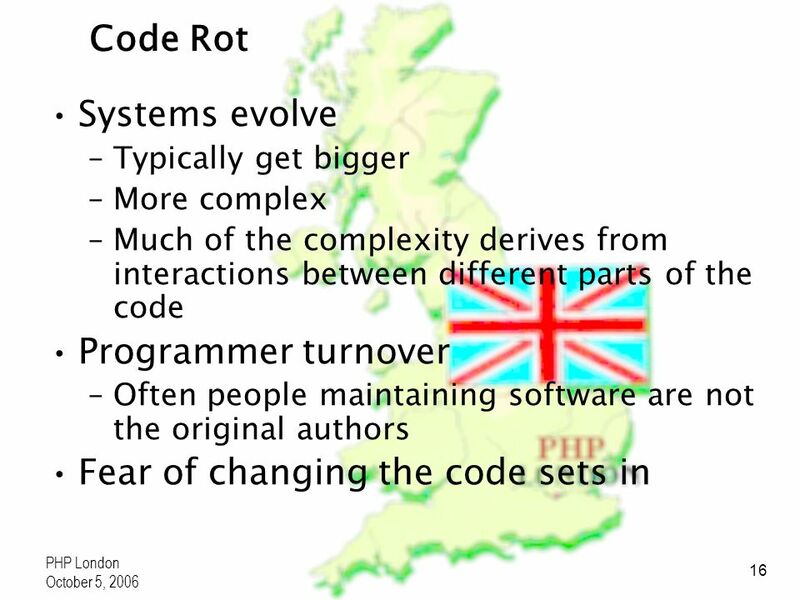 After all, you did not change anything in that part of your code. 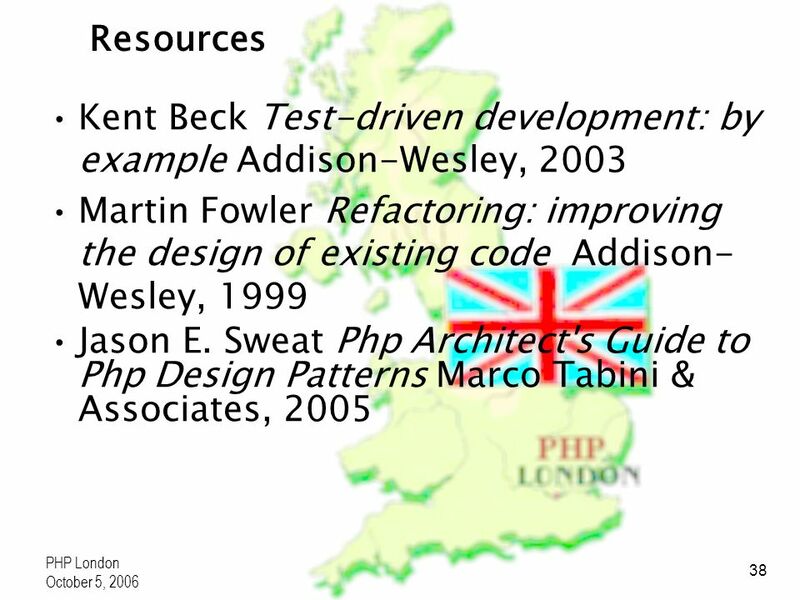 14 PHP London October 5, 2006 14 Comments? 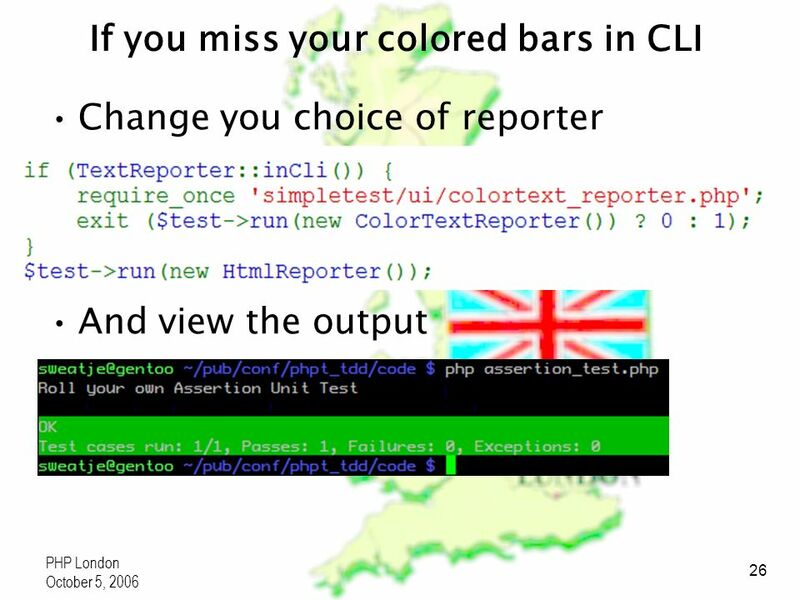 You do comment your code right? 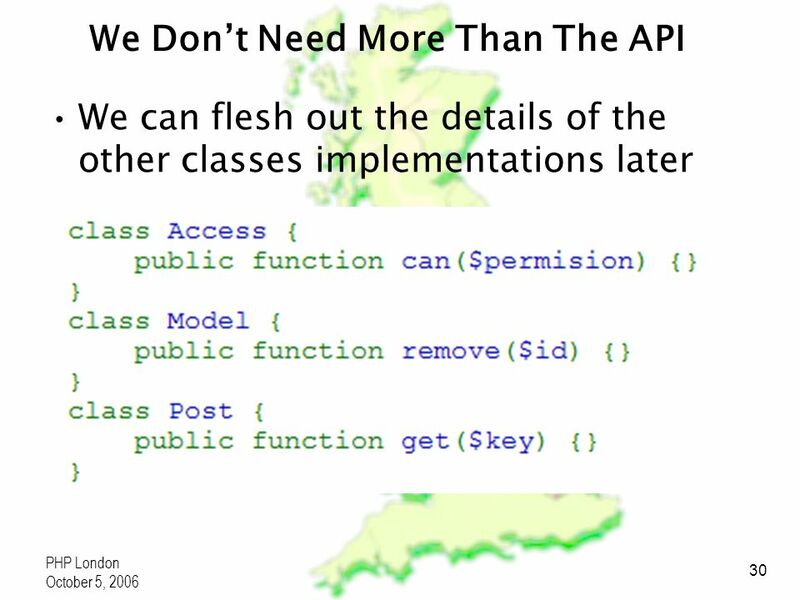 –At least what you intend for major classes or functions to do –Maybe docblocks for automatic source code documentation Comments get stale –Do you always change comments when you change the code? 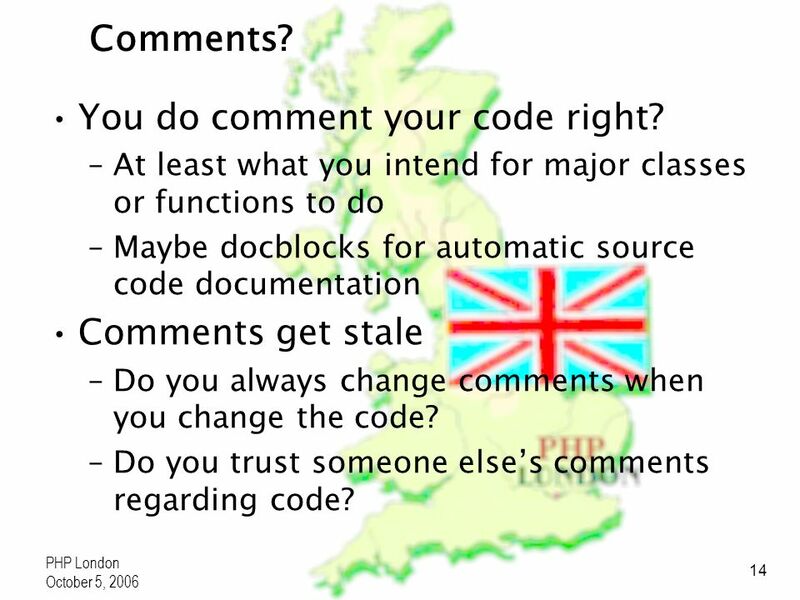 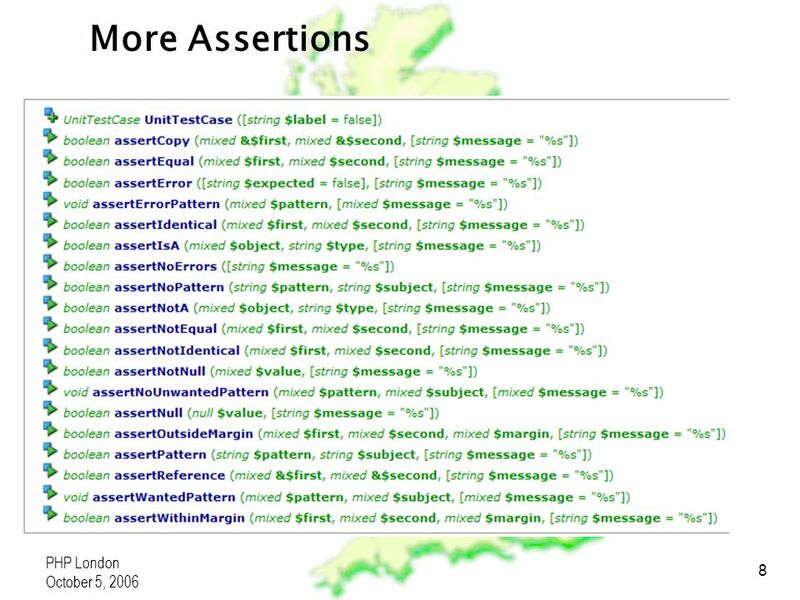 –Do you trust someone elses comments regarding code? 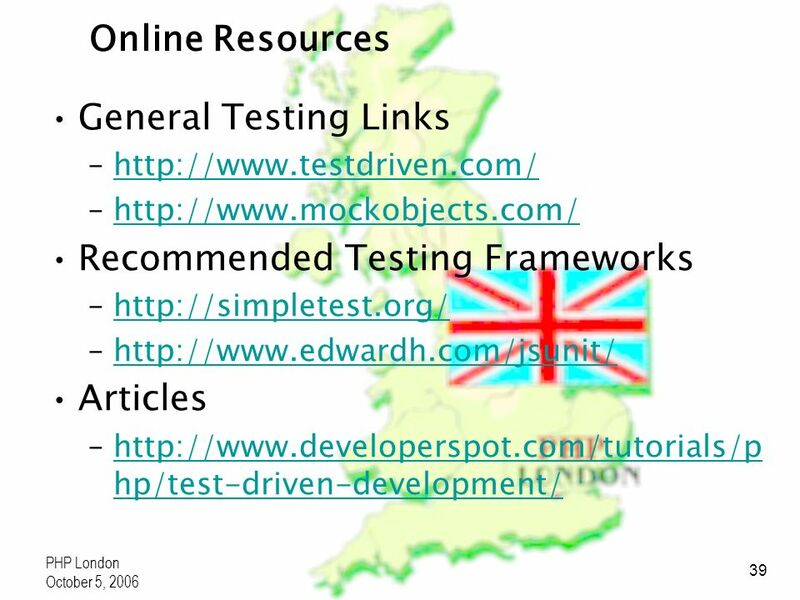 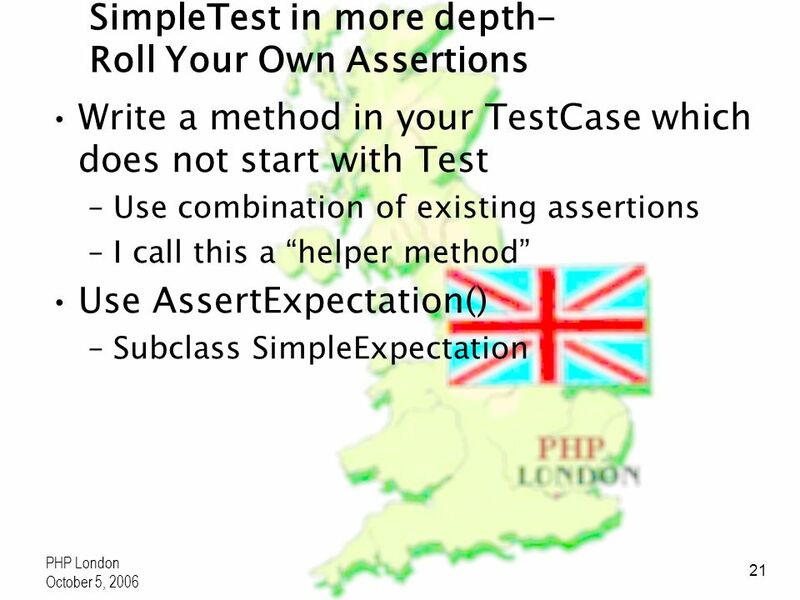 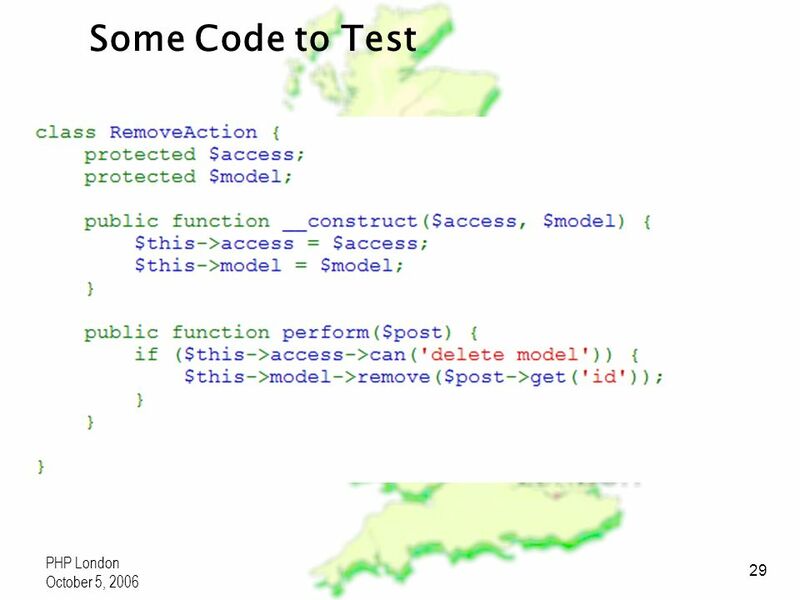 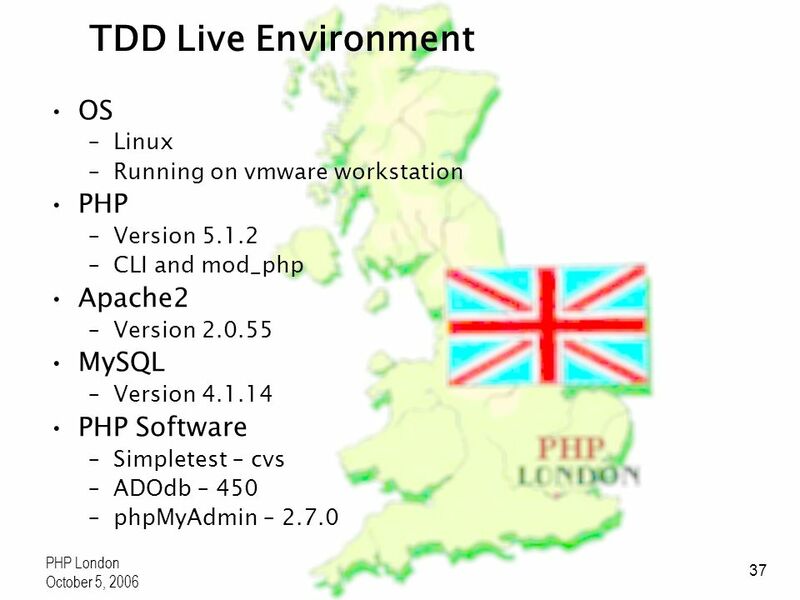 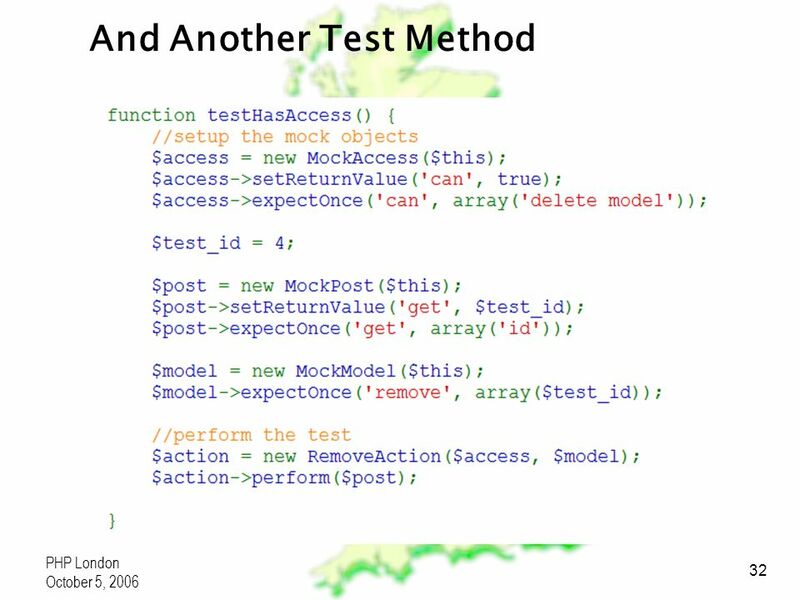 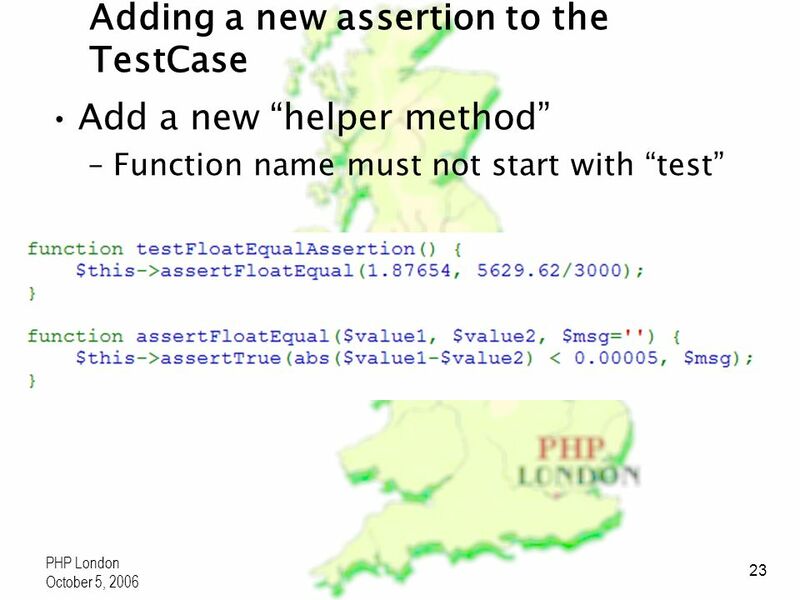 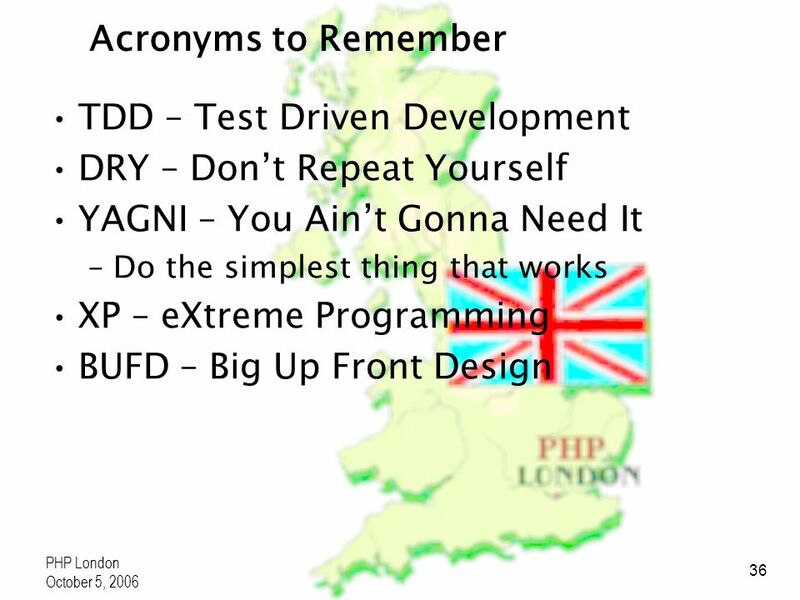 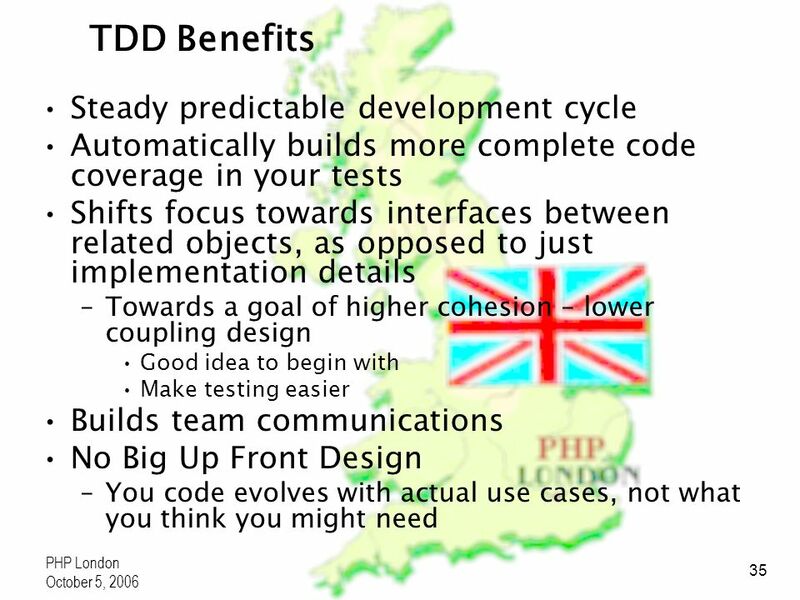 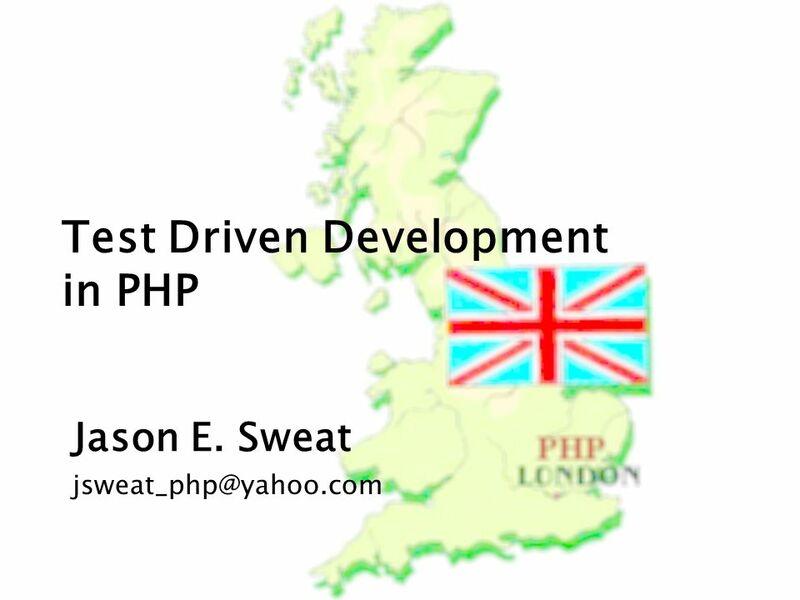 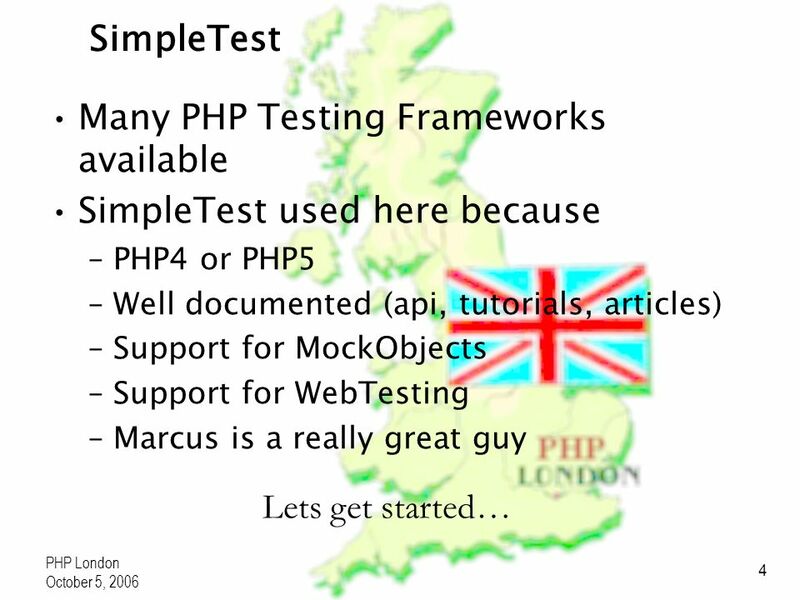 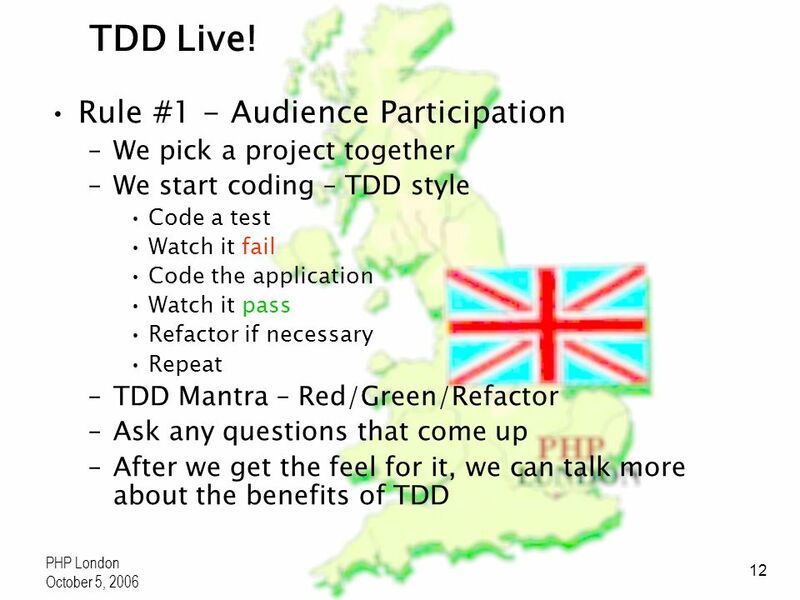 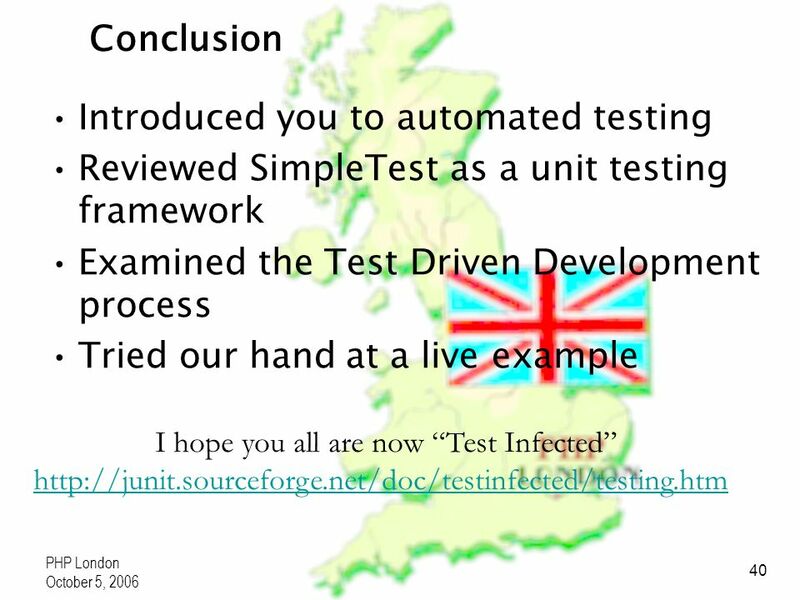 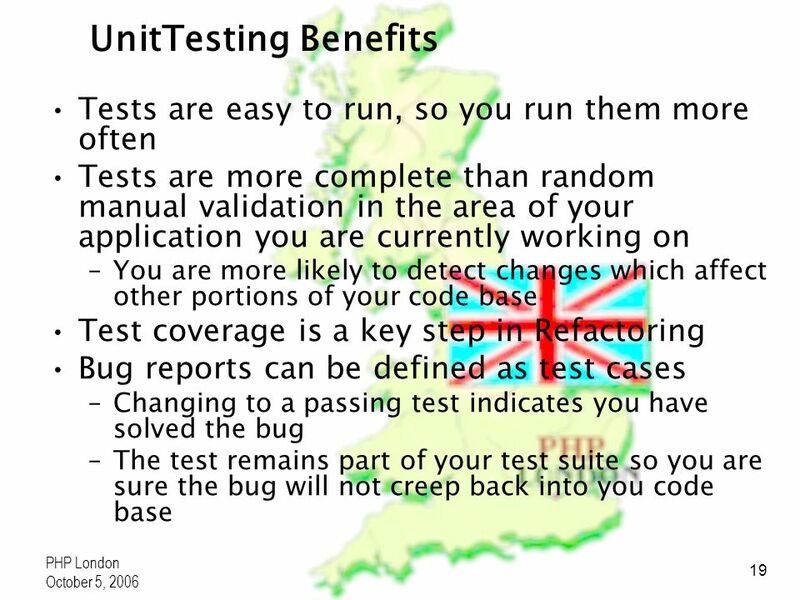 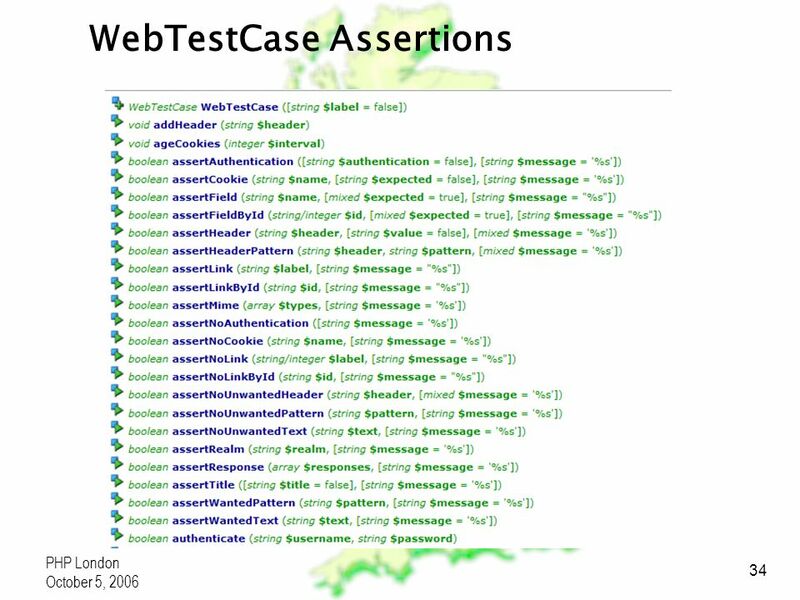 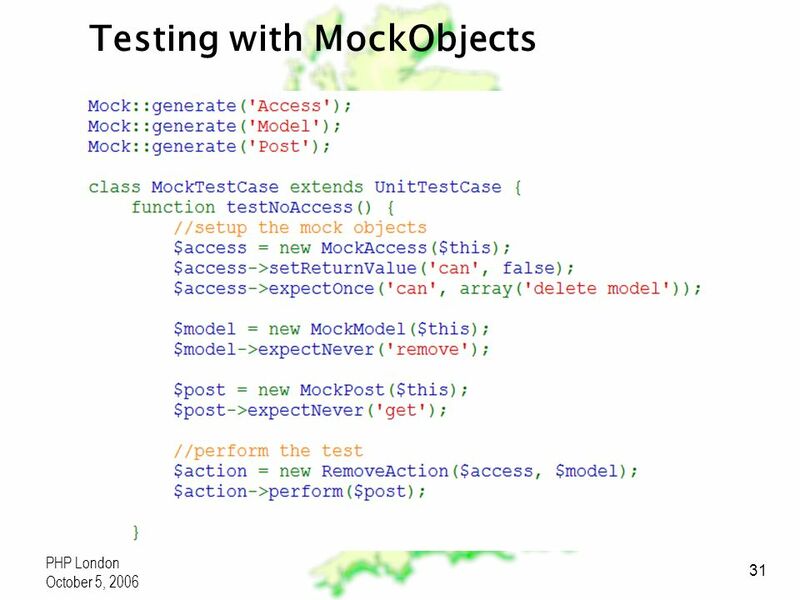 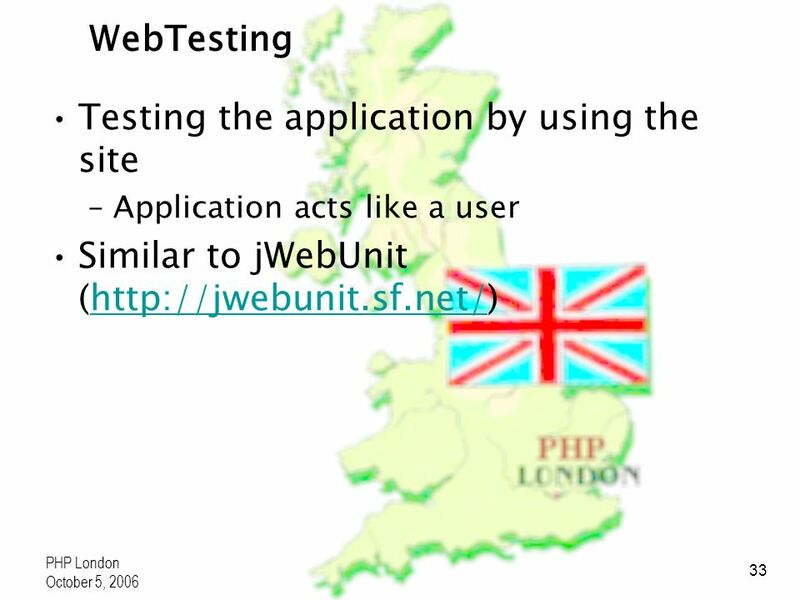 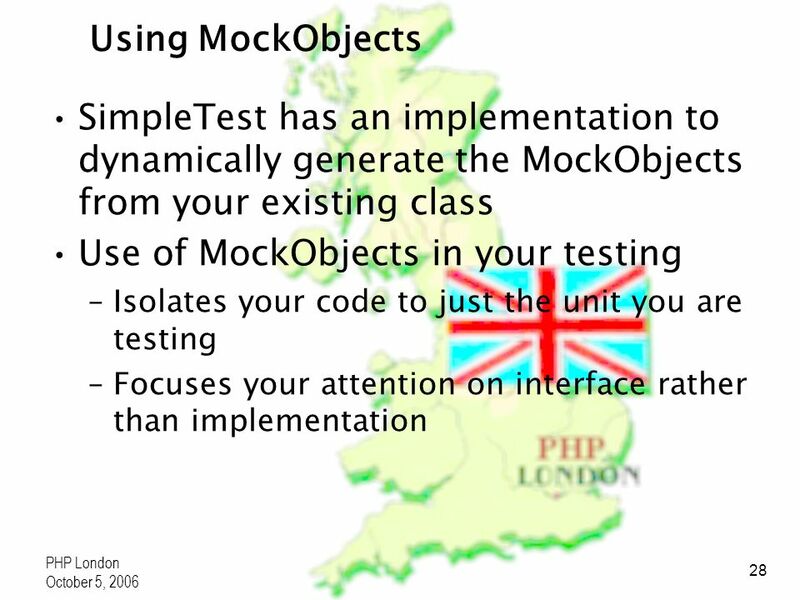 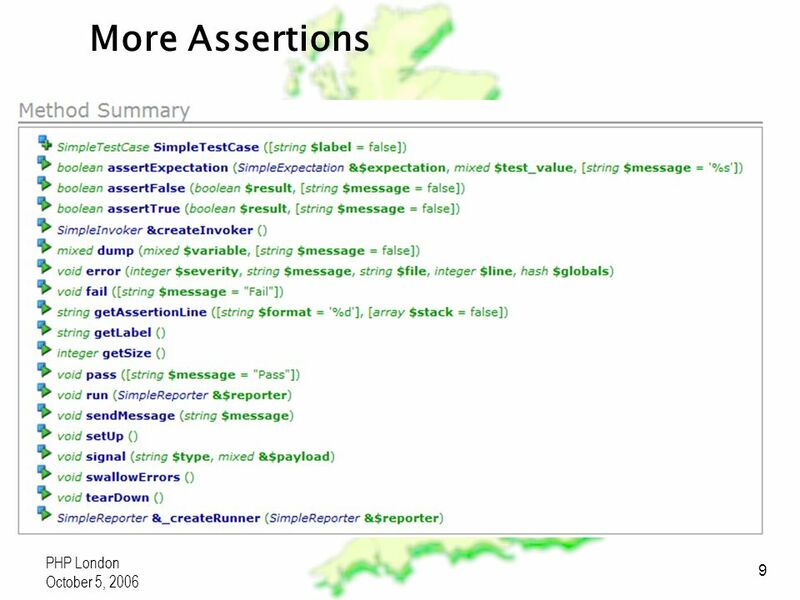 Download ppt "Test Driven Development in PHP Jason E. Sweat"